Everything about this documentary is a delight. From the cover photo of "Steel Workers at Lunch" by Charles C. Ebbets, right down to the closing credits on Disc 8, this film really moves at a brisk pace, imparting a whole lot of information in the process. Disc 5 begins with the return of the troops at the close of first World War. The footage of the ticker tape parade is particularly interesting, and I found myself looking for my Grandfather. The film simply involves the viewer to that extent. Of course, being a native New Yorker doesn't hurt my love for this film. This is the New York my older relatives spoke of. These are the streets and the people with whom they would have associated. This is as close as I can ever come to experiencing their world, as they saw it. Disc 6 deals with the end of the Post War Boom and the subsequent collapse of the Stock Market in 1929. It follows the city through the Depression years, which were the ones my parents always spoke of. Again, this is as close as I can get to being there, my parent's stories aside. As the Depression deepens the city struggles to survive and with the help of the NRA and WPA, it does. Some of the greatest buildings in New York went up at this time. My Great Grandfather worked as a brickmason on the Empire State Building, so watching these "skyscrapers" rise on film is a real treat. Again, I found myself looking for a relative in the films. Disc 7 was a bit of a disappointment as I really expected it to pick up with the year 1941 and the entrance of the United States into World War Two. I thought there would be at least some study of the city during the war years, with the blackouts, and the U-boats lurking off Coney Island. These were the stories upon which I was raised and I had very much hoped to see here. Instead, Disc 7 explores the city between the years 1945 and 2000, casting it in relation to the rest of the world. The films were very well placed and the dialougue and interview portions lent light to some of the late 1940's and 1950's, particularly in relation to the arts, as well as commerce. Disc 8 was kind of like a booster for the city, covering the years 1946-2003, which seemed a bit redundant, and entitled "The Center of the World." This disc really explored the commercial redevelopment of the city from a crime infested metropolis, which by the 1970's had become almost too complex to police correctly, to the re-emergence of New York, especially Times Square, as a once again vibrant and safe place in which to live and work. It also explores the recent demographic changes in Immigrant population and it's effect on our own culture. 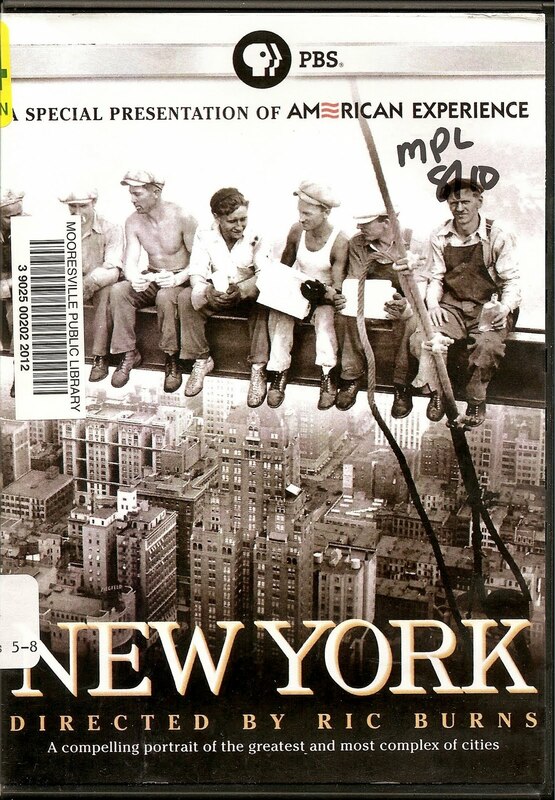 If you love New York, then this film will not fail to deliver. And as a documentary it bears all the hallmarks of what we have come to expect from Ric Burns. Best part is that he can't help it. Along with his acclaimed brother Ken Burns, I'd say it's in their genes.